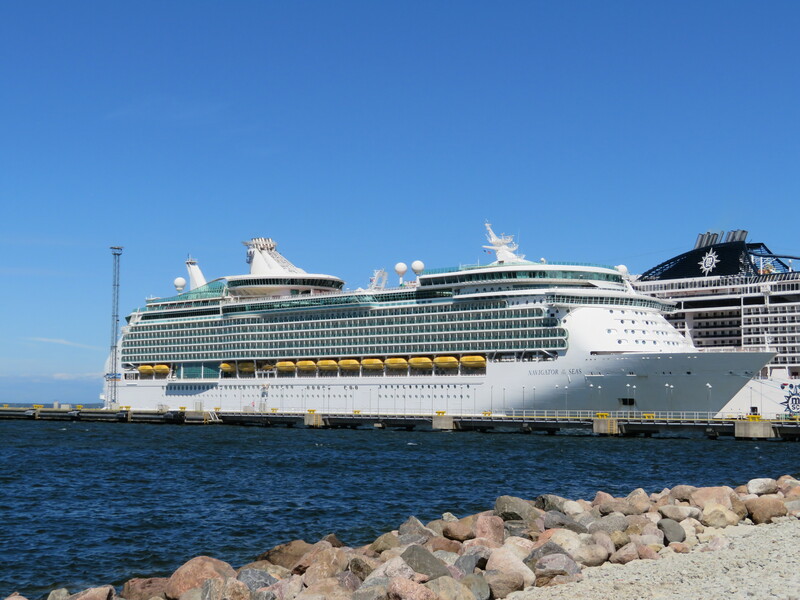 In June I went on my fourth Royal Caribbean cruise ship this time onboard Navigator of the Seas as I cruised the Baltic, visiting Oslo, Tallinn, Helsinki, Skagen, Copenhagen and St Petersburg. Navigator of the Seas is a wonderful ship which is neither too big or too small. It’s a ship which is the perfect size as it hosts a range of activities and restaurants, which are not too packed in. Those who get lost easily will find it easy to navigate your way around the ship. Onboard passengers are able to find plenty of activities to keep them occupied day and night. Practice surfing on the flowrider which is exclusive to Royal Caribbean. Take a climb up the rock climbing wall located on the sports deck. Practice some basketball at the onboard basketball court. Practice some table tennis on one of the tables available on the sports deck. Practice some mini golf on the golf course which is also on the sports deck. Spend some time chilling by one of the pools that are available or go in one of the hot tubs. Shop along the Promenade where you can treat yourself to some new jewellery, a new bag or some beauty bits. Also available to buy onboard depending on the cruise are souvenirs from the ports you are visiting. Take a trip to the onboard Spa where you are able to enjoy a range of treatments including massages and facials. Learn some new dance moves as you can take a dance class which is conducted by one of the onboard dancers. Take a trip to the onboard arcade where you can play air hockey as well as a range of other machines. On one of the sea days you are able to watch an Ice Show performance by the onboard entertainment team. You are normally given a designated day for this which you will find in the cruise news as it will depend on your muster station. Take part in seminars such as a go pro seminar. Watch a movie under the stars on the pool deck where you are also provided with a blanket. Catch a show at the Metropolis theatre where you can see a show performed by the onboard entertainment team. There are some shows which are performed by known acts which are brought onboard such as Jimmy Tamley (ventriloquist) and Darren Day (singer & impressionist). Enjoy a street party along the promenade where you have themes including Cool Britannia. Our cruise hosted two street parties so it will depend on the length of your cruise as to how many you will have. Take part in one of the quiz shows onboard in the Star Lounge such as general knowledge, music and movies. If you wish there is also the chance to take part in a game show onboard such as Love & Marriage (similar to Mr & Mrs). If gambling is something that interests you there is a onboard casino where you can have a go at the slot machines or go on a table to play blackjack, poker or roulette. If you see yourself as a singer there is the option to take part in karaoke located in Schooner Bar. Enjoy a relaxing drink at one of the many bars onboard where there is also sometimes a singer or band playing. Bars include an English pub known as Two Poets, R Bar, Boleros or Sky Bar. Main Dining Room: this is complimentary and will feature a different menu each nigh. This restaurant is set over three levels where you will more than likely sit at the same table for each visit. Windjammer: this is your buffet restaurant. Cafe Promenade: the perfect place to go for a snack as you are able to grab a slice of pizza, sandwich or pie. Chops Grille: an American steakhouse, this restaurant is a must for anyone going onboard a Royal Caribbean ship. A cover charge is required. Giovanni’s Table: an Italian restaurant where they will sometimes have a theme night. A cover charge is required. Izumi: a Japanese sushi restaurant. A cover charge is required. Sabor: a Spanish restaurant where you can enjoy tapas. A cover charge is required. For our time onboard we had a balcony cabin for the three of us as we had a double bed and sofa bed in the cabin. There is plenty of space and storage in the cabins which is something that I think can be hard to find onboard some ships. The bathrooms are small but I didn’t find this to be a major issue. On some evenings when you return to your cabin you can sometimes find animals on your bed made out of towels by your cabin steward. This is always something I look forward to when returning to the cabin of an evening.